For children ages 18 months to three years. 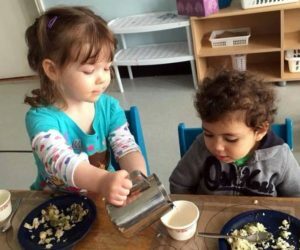 Our toddler program offers many opportunities for children to grow, learn and explore in a respectful environment that supports their needs. Snacks and drinks are provided in the mornings and afternoons and a healthy lunch is cooked in-house by a certified chef. 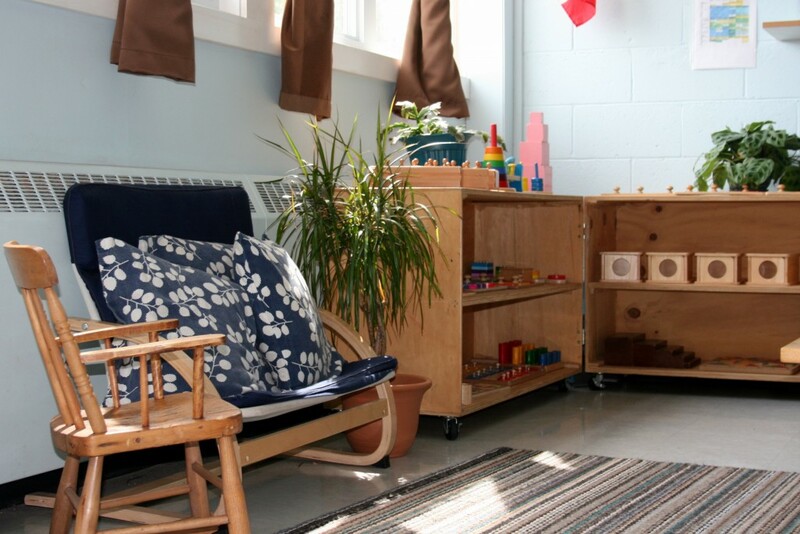 Toddlers have daily outdoor play time and also have a nap or rest period in the afternoon. Practical Life activities are designed to be a distillation of everyday activities. Some examples are various pouring and spooning activities and dressing frames that involve manipulating buttons, velcro, etc. Practical Life activities help toddlers to develop a sense of independence and responsibility, to refine their fine and gross motor skills and develop coordination. Sensorial activities help toddlers to begin classifying, identifying and sorting various objects according to size, colour and shape. This experience helps toddlers to better understand their environment and the world around them. 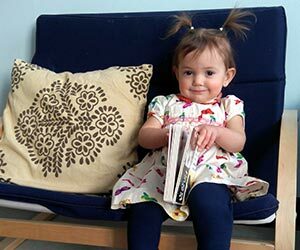 Toddlers are exposed to language from the time they enter the classroom, as their teachers tell stories, sing songs and speak with them using enriched vocabulary. In time, children in the toddler class will begin working with various language cards and learning the sounds that letters make. This work will be continued as they move on to the Casa classroom. 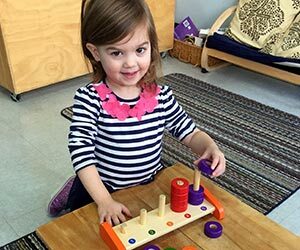 Math is first introduced to toddlers in an incidental way, with simple counting, songs and stories. 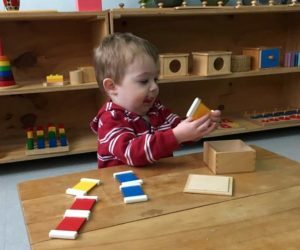 Depending upon interest, toddlers may begin to learn numbers and will continue to work on math activities as they move up to the Casa class. 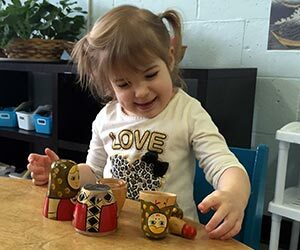 Expressions of our culture are everywhere in our toddler classroom, from the pictures on the wall and decorations on the shelves, to the songs we sing and the stories we read. Toddlers will have a rich, cultural experience with a focus on acceptance and diversity.